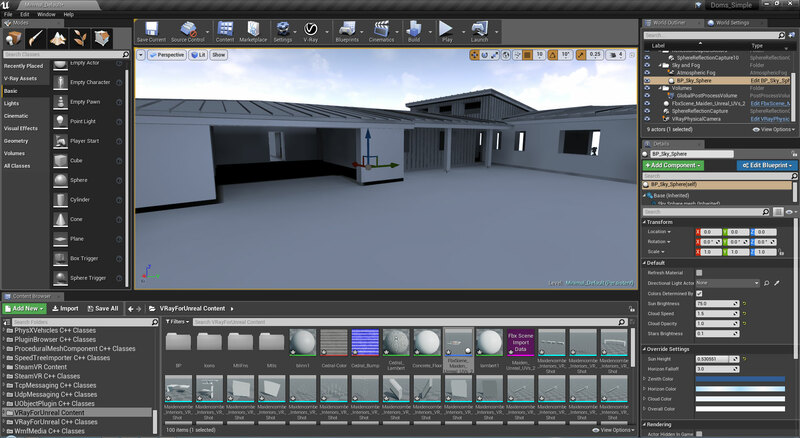 We have been testing Unreal and Unity computer games engines to produce rendered images and output 3d objects and environments. Not surprisingly, game engines are great at producing game apps for PC, Android or iOS with a very realistic and easy to explore environment. However this does mean the customer/viewer must be willing to take the time (and risk) to download and install your software. For the casual visitor to a website selling products or properties this would seem like too much hassle, when compared to looking at an image or a video. This game technology can work well in a kiosk environment e.g museum or sales booth where the software is preinstalled. Our experience is that most of our clients customers interact with them online. So any interactive 3D displays we produce must work, reliably and seamlessly, online. We can achieve this goal but it does mean we have to bear in mind heaps of different operating systems, web browsers and devices (smartphones, tablets, laptops and PCs) with a wide range of graphics handling capabilities. This is achieved by using the new standard of HTML5/WebGL technology. The most popular game engines can produce HTML5/WebGL content. Here is an architectural visualisation example. However our experience is that this isn’t really good enough to offer customers. Problems include large/slow page loading times and possible out of memory issues. A better option is to use a specialist HTML5/WebGL only production program such as Playcanvas. See this product configurator example. This produces a native Java Script based ‘game’ that is far faster loading and interacting then the bulky and slow Unreal Engine and Unity versions. It is worth pointing out that the jump, in complexity and time, from producing a still image to a video to an interactive 3D display is considerable. We aim to produce finished sales or information aids for our customers without them requiring a knowledge of the technical details. Also we don’t try to sell our customers on the latest technology for the sake of it. Our goal is always to focus on achievable results such as progressing customers along the sales conversion funnel.